What are these things called Remoscopes? A Remoscope is simply defined as a film or piece which is still. The camera, a moving image (with no camera movement) and a tripod to keep the scene still. The two lads who created the notion of Remoscopes. 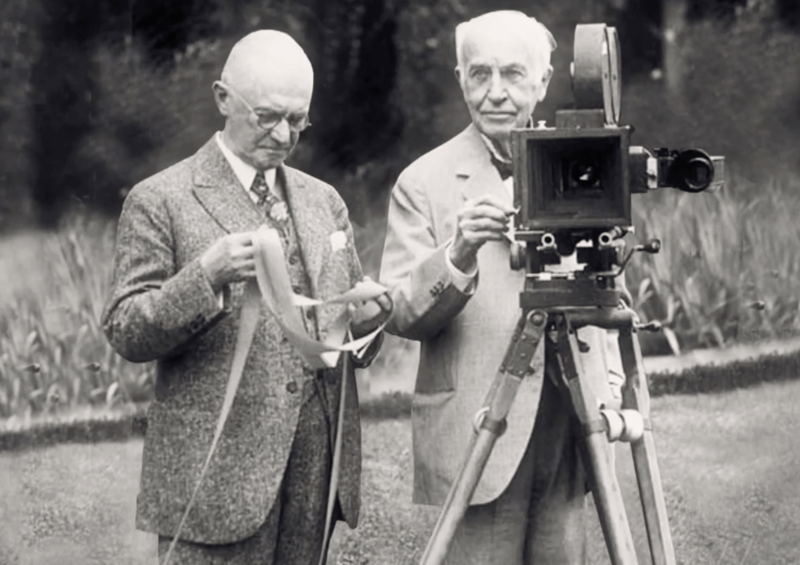 Created by the Lumiere Brothers, the main notion this paradigm of film production (which modern artists have realised) was to give power to the audience and not the creator. What this means is, audiences now are influenced by sound and text, also being distracted by camera techniques and pretty filters which detract from the meaning, context and salient specific parts of a film. Remoscopes allow for audiences to have their own differing opinions and perspectives on pieces being made in this way and therefore have their own unique experiences through the conclusions they have drawn. To shape a piece which is both artistic, engaging and fascinating is difficult in its own way, having the constraints of creating a Remoscope makes this criteria even more challenging to achieve. However, my tutor Aaron seemed to engage in this notion of constraint and juxtapose it to the idea that through imposing limits, you are able to transgress them and truly create something beautiful. With this in mind, I have realised that Remoscopes have a uniqueness to them that prick my curiosity. What can a still video truly do to someone and how can/will it make them feel? Can a dull colour become a rainbow in some peoples eyes? Too much? Okay sorry. In short, my first MEDA 101 class was pretty lit fam. We learnt how to use a DSLR (very nice camera which is probably more expensive then my life at the moment. Almost dropped it. Had a mini heart attack. Am alright now), discovered the art of Remoscopes, introduced ourselves and got to experiment with Remoscopes and the types that we can create. The Curious ramifications of the word Why. Why?